Jim Alexander from UMD's UAS Test Site carries a Talon 120 to the operation launch site. University of Maryland (UMD) Professor Gregory Baecher is one of 14 authors of a new National Academies of Sciences, Engineering, and Medicine report calling on the Federal Aviation Administration (FAA) to update its methods of authorizing drone operations. Released June 11, 2018, the report was mandated by Congress and sponsored by FAA. Baecher and the other committee members found that the administration’s current safety regulations are hindering the spread of commercial drones by overestimating the likelihood and severity of the risks posed by their operations. 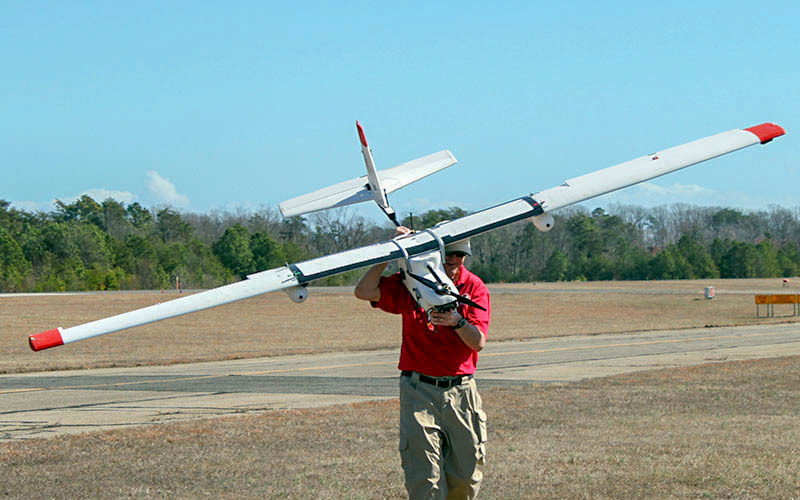 FAA risk assessment techniques, originally developed for manned aviation, also fail to balance threats with the life-saving advantages of unmanned aircraft systems (UAS). The report points to cell phone tower inspections, medical device delivery, and firefighting as examples where UAS technology is not only beneficial but also often safer than manned alternatives. The 14-member committee, whose members come from universities, research groups, and the aerospace industry, tasked FAA with establishing and publishing specific guidelines for implementing a predictable, repeatable, quantitative risk-based process for certifying unmanned systems and granting operations approval. The report also recommends that the FAA administration undertake a comprehensive change in management processes and commit to reviewing risk assessments within six months. This is the sixteenth National Academies committee Baecher has participated in or chaired since 2000. A member of the National Academy of Engineering, Baecher is the author of five books and over 200 technical publications on risk, safety, and the protection of civil infrastructure. He received the U.S. Army Corps of Engineers Commander’s Award for Public Service in 2008 for his contributions to the risk analysis of the New Orleans levee system following Hurricane Katrina. He is also the recipient of the Panamanian National Award for Science and Technology Innovation, awarded for his contributions to enterprise risk management at the Panama Canal.